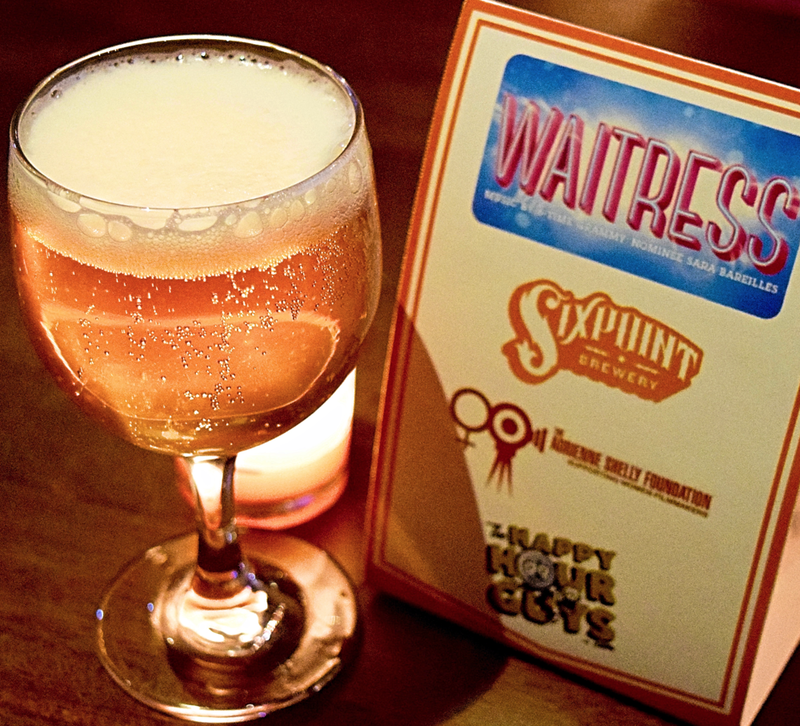 Broadway Brew #3: Waitress, Sixpoint, to benefit the Adrienne Shelly Foundation. Cast members of the hit show Waitress and Sixpoint Brewing teamed up to create "IT'S FOR ADRIENNE" Cherry Cream Ale, a perfect brew to have alongside as you think about music and pie. Sales will benefit the Adrienne Shelly Foundation, which supports women in film! It's for Adrienne, a sour cherry cream ale. Delicious.